The PC 1512 was launched in 1986 as a cheap IBM PC compatible home computer. It was extremely successful in Europe as both a home and business computer. 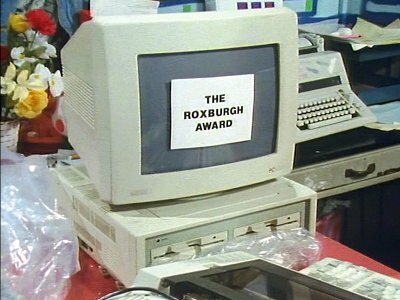 The computer the Gang win is an Amstrad PC1512.